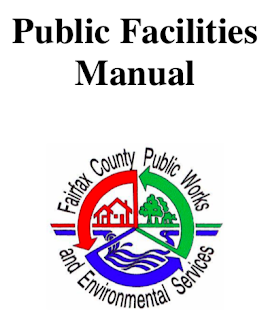 Fairfax County is updating their Public Facilities Manual. 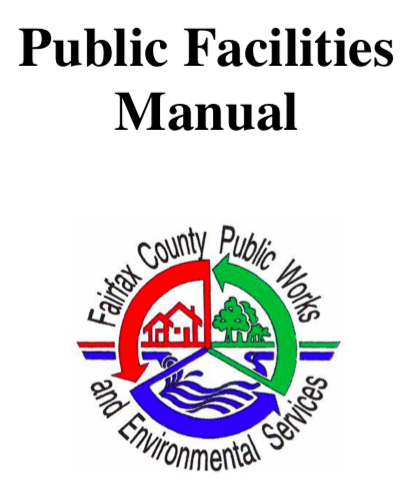 The PFM "sets forth the guidelines which govern the design of all public facilities which must be constructed to serve new development." The Zoning Ordinance sets out minimum requirements for those public facilities. The zoning ordinance contains requirements for vehicle parking but not bicycle parking. FABB has reviewed proposed changes to the Public Facilities Manual affecting bicyclists and pedestrians. We are encouraged to see new text in Chapter 7 (7-0602.5) that refers to bike parking: “Bicycle Parking. Bicycle parking must be consistent with the Fairfax County Bicycle Parking Guidelines.” However we don’t think the wording of those guidelines is strong enough. We suggest that the wording of the bike parking guidelines be strengthened and incorporated into the PFM during Phase 2. Also included in Chapter 7 are typical road sections, none of which includes bike lanes, buffered bike lanes, cycle tracks, etc. We assume these will also be addressed in Phase 2. Chapter 8 contains sidewalk and trial requirements. Proposed changes are relatively minor. However, the Bicycle Master Plan should be referenced and added whenever the Countywide Trails Plan is referenced since both contain trail requirements. We assume that other changes may be proposed under Phase 2 so we would like to be part of that process as a stakeholder. The Zoning Ordinance is also being updated. The ordinance clearly defines minimum vehicle parking requirements for residential and commercial uses. The bicycle parking recommendations need to be included as well.